After twenty years of service, Leo Banks is recently retired from the police department in Rozette, Montana. Having married and divorced three women, he's living quietly and happily alone, fishing and doing some amateur geology. Then, seemingly out of nowhere, his old friends from college, Sarah and Gerry Heyman, show up in Montana on vacation, along with their two kids. Years ago, Sarah was Leo's first lover, but they split up when Banks joined the Navy against her wishes, and she ultimately married Gerry, who had been Leo's best friend. After all the time that's passed, their reunion is awkward, and it's clear that Gerry is a troubled man. He's now a successful doctor in Mauvaisterre, a tiny river town in southern Illinois, and he's recently acquired a new elderly patient who's just been released from prison and moved into the nursing home in Mauvaisterre. The new patient, Mickey Cochran, is mildly retarded, and fifty years earlier, he pled guilty to the murder of the wife of one of the town's most prominent citizens. Now Cochran insists that he did not commit the crime and Gerry Heyman believes him. Gerry wants Leo to come to Illinois and investigate the old case. Banks refuses for a variety of reasons, some of them practical and others emotional, given his ancient history with Sarah and Gerry. Gerry returns to Illinois and attempts to investigate the case himself and a few weeks later is found on a lonely road, beaten to death. Sarah believes that the local cops are not up the challenge of solving the crime and begs Leo, an experienced homicide detective, to come investigate it himself. Reluctantly Leo agrees, and before long, he finds himself knee deep in two homicide cases, one knew and one old, in a town where there are lots of buried secrets. This is a great book with an excellent cast of characters, some of who are more than just a little off-center. There's a lot of local color and the Banks character, who was first introduced in Cupid, is now given a great deal of additional depth. The plot is intriguing and moves along at just the right pace. 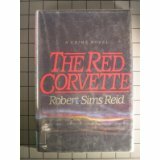 I've insisted earlier that Robert Sims Reid is one of those writers who, sadly, did not enjoy nearly the reputation he deserved. It's hard to imagine anyone who might read this book and think otherwise.